You probably would have seen it too - the TV advert blast and full-page advertisements over the past week announcing the launch of Australia 108, a new residential project to be developed by World Class Land, the property arm of Aspial Corporation (yes, the jewelry people but hey, everyone wants to be a developer these days!). 1. Standing at 319m tall, it will be the tallest building in Melbourne and the second tallest building in the whole of Australia. 2. It will be the only building in the Southern Hemisphere that comprises 100 storeys. 3. The skyscraper will house 1,105 residential units. 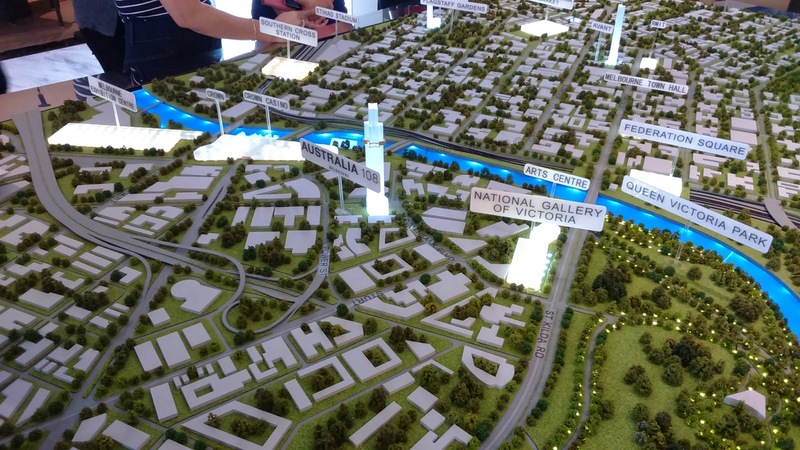 Construction is set to commence in mid-2015 and expected TOP is in late-2019. 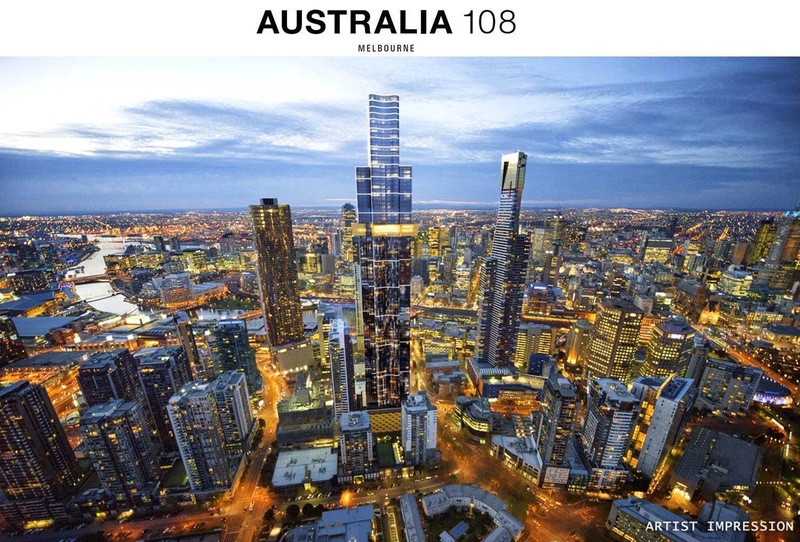 So why is the project named Australia 108 when it is only 100-storey high? 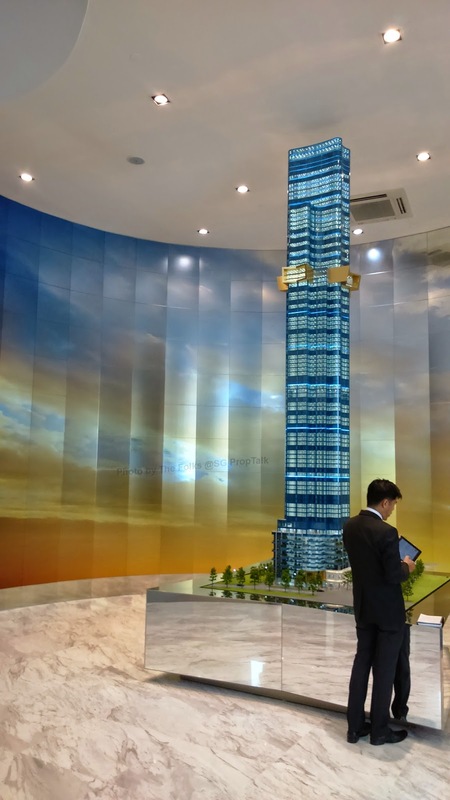 When the project was first mooted in 2013, it was supposed to be 388m high and contained 108 storeys. The proposal was shelved after it struggled to meet conditions imposed by the government authorities. The project was subsequently bought by Aspial Corporation for about A$30 million during late-2013. 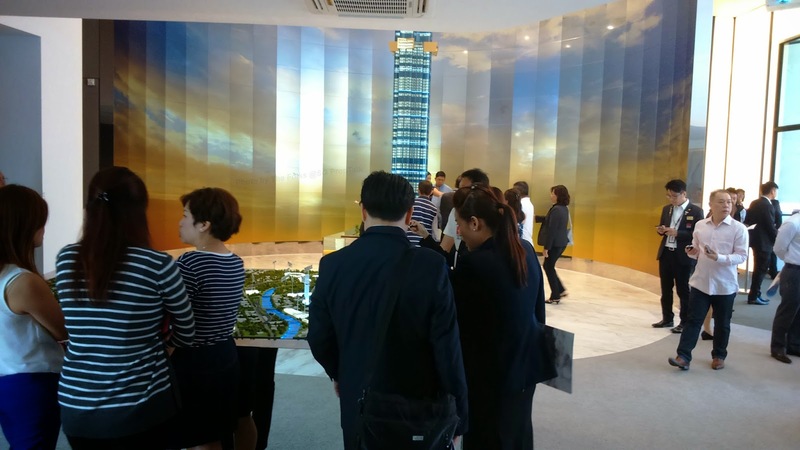 Plans were resubmitted in 2014 for a 319m tall, 100-storey building. However, Aspial has decided to retain the project's original name. Australia 108 is sited in the Southbank precinct of Melbourne. For those who tend to orientate themselves using the casino as the main point of origin, the project is about a 3-minute walk from the Crown Casino. 1. The first 10-floors are parking lots meant for residences within the development. 2. The 11th - 68th floors are your typical apartments with unit types ranging from 1- bedroom, 2-bedroom + 1 bath and 2-bedroom + 2 baths. 3. The 68th and 69th floors (i.e. the yellow-colored protruding portion of the building) are "maintenance floors"
4. 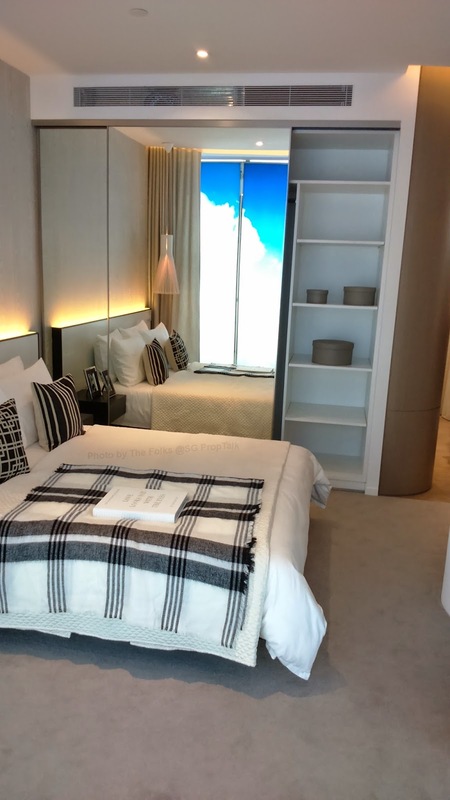 The 70th - 100th floors are designated as "Cloud Residences" - we were told that you are literally living amongst the clouds on these levels. 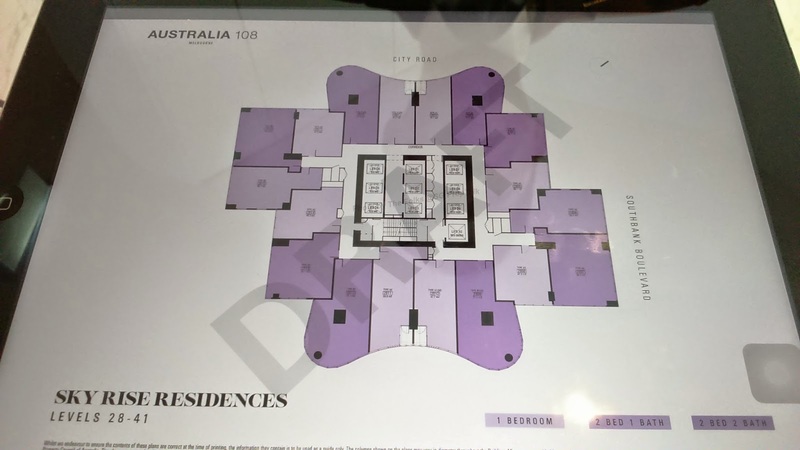 Each floor in Australia 108 typically houses 18 apartment units. So loneliness will probably be the last thing on owners' minds given the number of neighbors you can expect on your floor. 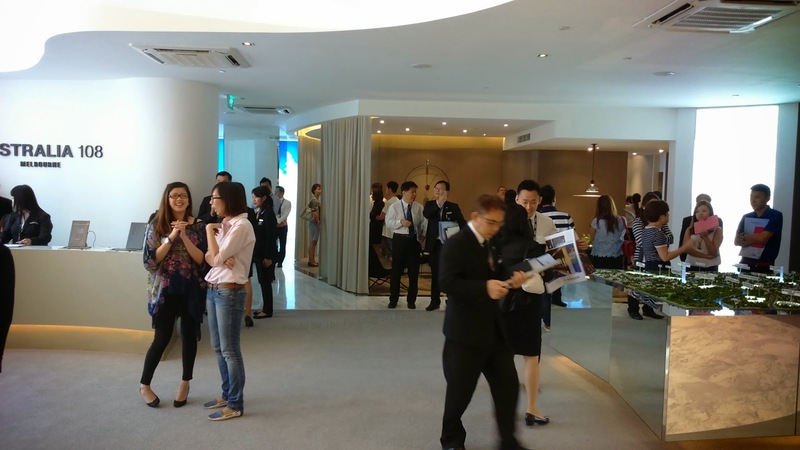 For those who are already arming themselves with cheque books,apartments in the project will only be released for sale on 1 Nov 2014. However, marketing agents are already collecting cheques from perspective buyers as an expression of interests. 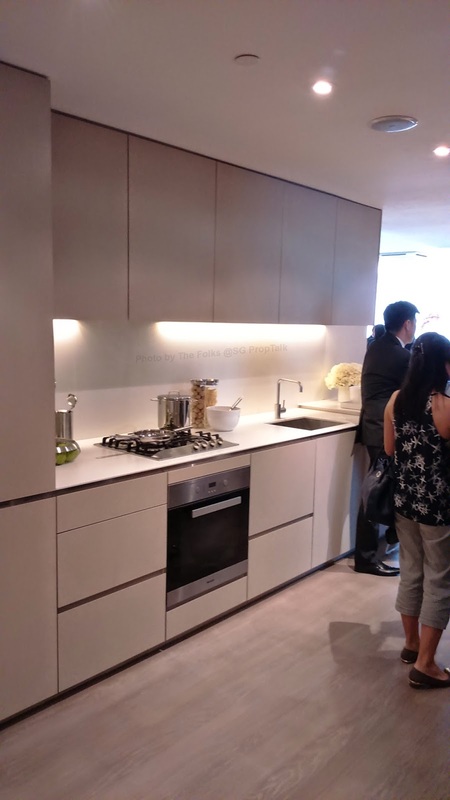 How this works is that they will collect a cheque from you in the amount of either S$5,000 or $10,000 (depending on the size of the unit that you are interested in). You are allowed to back off from the deal during the period of after you put in your cheque and before unit selection on Nov 1. But after you have selected the unit and signed the S&P letter on Nov 1, there is no backing out of the sale and you have 7 working days to come up with the first 10% of initial payment for your unit. The balance 90% is only payable upon TOP of the project. 1. The stamp duty for this project is only 1% if you buy it during the launch. This is the standard duty for projects that have not started any form of construction yet. But once construction starts, the stamp duty is increased to 4%. 2. Stamp duty is also payable by the seller when you decide to resell your unit in future. This is unlike when in Singapore, where stamp duty only apply to buyers. The same 4% applies. 3. 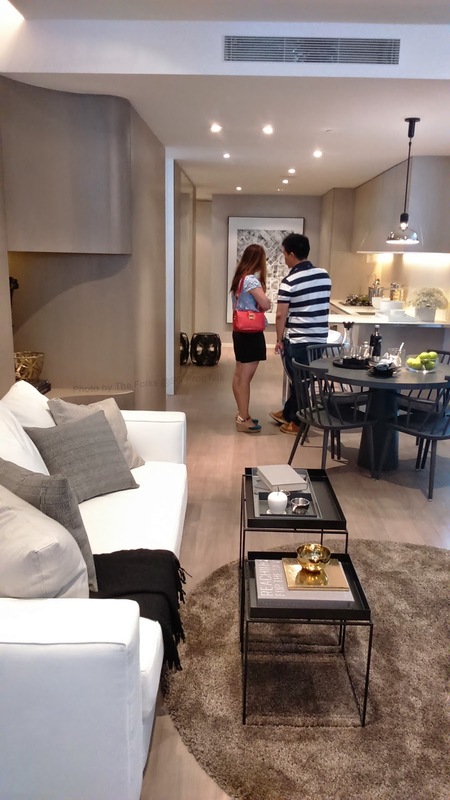 After payment of the initial 10% and up till just before the project's TOP, you can still "flip" your unit to anyone, including another foreign buyer. But once the project TOP, your only option for resale is to someone holding Australian citizenship, i.e. you can no longer sell your apartment to another foreign buyer. This is a rule mandated by the Australian government to rein in runaway property prices. 4. A capital gains tax of around 33% of profit made is applicable on resale. Yield wise, we have done the sums on how much in terms of returns an apartment in Australia 108 is likely to fetch, based on current estimated rental and upkeep cost figures. 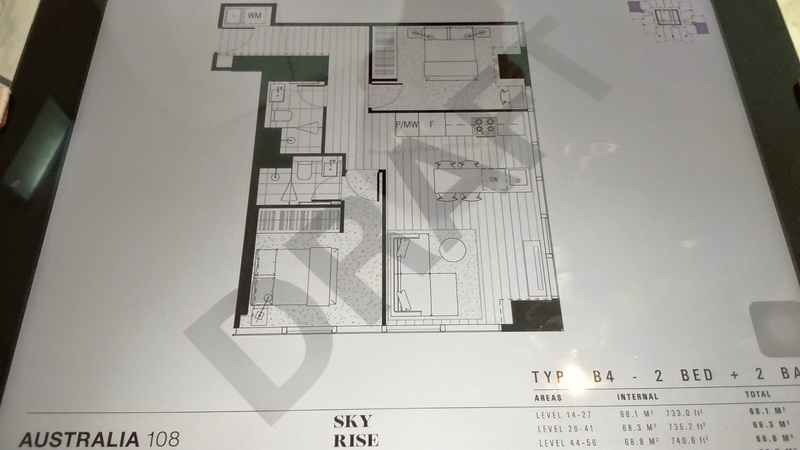 Looking at a 60.6sqm South-East facing, "2-bedroom + 2 baths" unit on the 39th floor that costs A$710K, you are looking at a net yield (after income tax) of about 3.4%. The rental yield may sound pretty decent compared to what you can possibly get in Singapore nowadays, but bear in mind that the mortgage rate for Australian property is anywhere between 3+ and up to 5%, depending on which bank you decide to get the loan from. So if you intend to finance a huge chunk of the purchase cost, you will probably not see very much of the rental returns. So what remains is the capital gains.The marketing agent kept reminding us that investment into Australian property is more of a long-term play. And judging by the number of units within Australia 108, the wife and I reckon that it is unlikely to be one of those projects that will see a 15 - 20% gain within the next 12 - 18 months... unless the project achieve exceedingly good take-up rate during its launch in Singapore and Australia (after November 1). But the good news is that based on the late-2019 TOP date, specuvestors should have at least 4 years to try and "flip" their investments for profits. 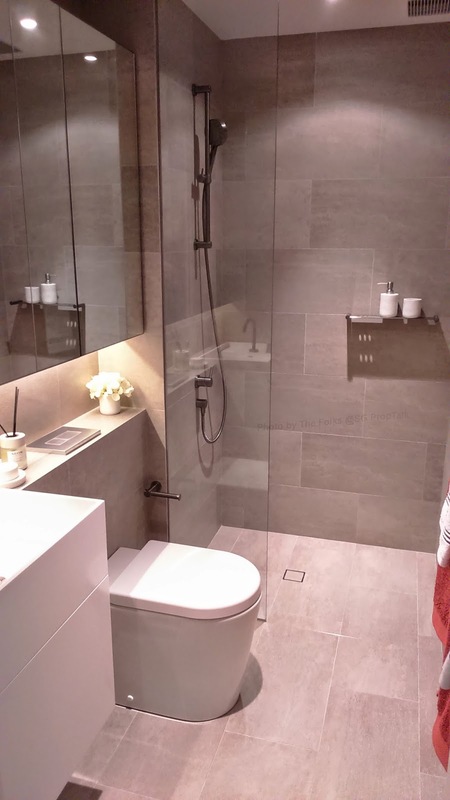 Below are photos of the "2-bedroom + 2 baths" showflats. No Comment to " Australia 108 (Preview - sorta) "